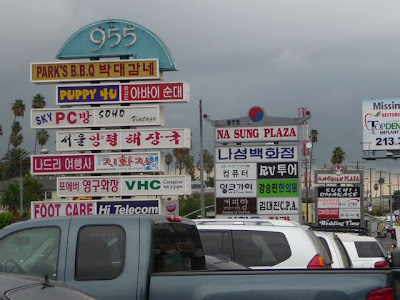 In November of 2010 I was back in L.A. for a couple of days and spent an hour or so walking through Koreatown. This is Part V of a four part series (here are links to Part I, Part II, Part III, and Part IV). 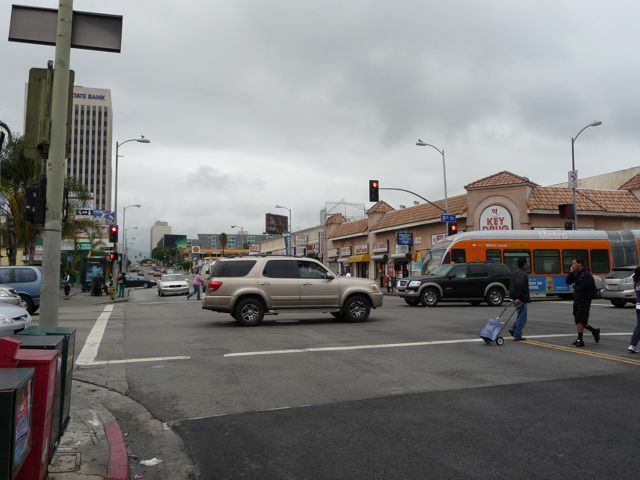 The corner of Wilshire Blvd and Vermont Ave was the "half way" point of my walk. I turned south and headed south along Vermont. 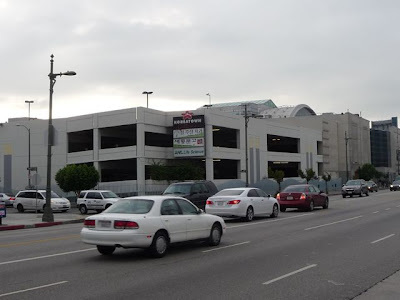 Underneath this apartment complex is the Wilshire & Vermont subway station, going either north to Hollywood, or east to Downtown L.A. 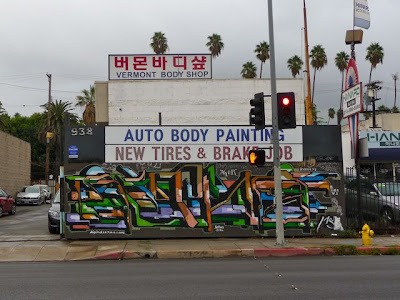 I like the mural, but the "Yelp" ratings for this complex aren't that stellar. 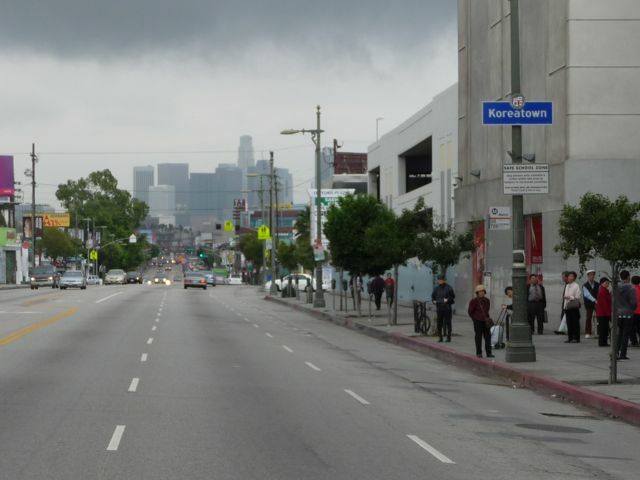 Vermont Ave looking south. Unlike New York, Chicago, or even San Francisco - much of Los Angeles retains an "low-rise urban" look and feel. Looking north back up Vermont, with one of the office buildings along Wishire visible. 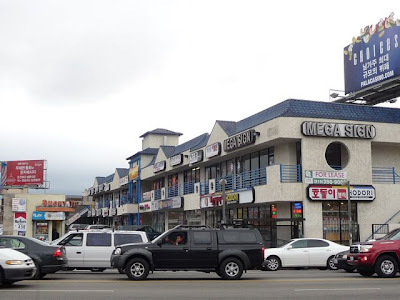 Ah, Los Angeles - birthplace of the "mini-mall." Well, I don't know about the birthplace, but back in 1988, L.A. City Councilman Michael Woo called Los Angeles the "mini-mall capital of the world." 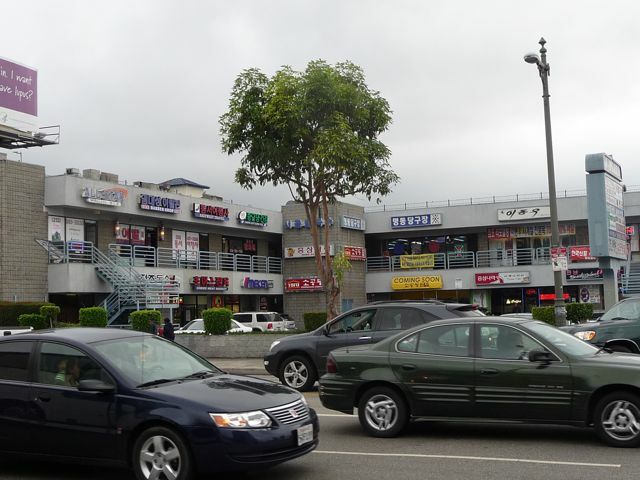 They're everywhere: one (or two) story shopping centers in front of parking. 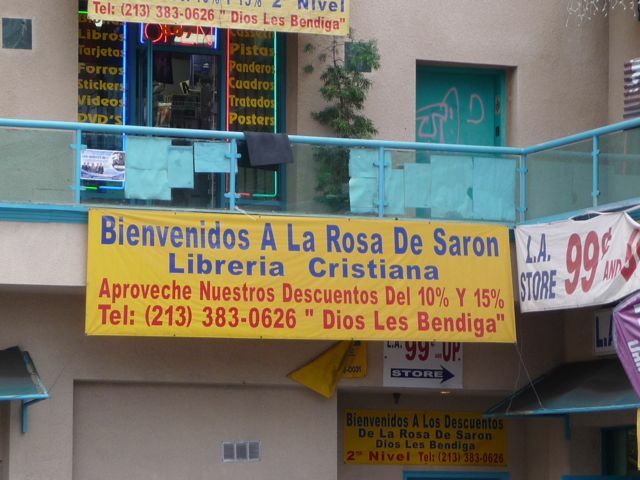 In this particular mini-mall I noticed a Spanish language Christian bookstore. Wish I had had the time to stop in. Across the street: Vermont Auto Body Shop. 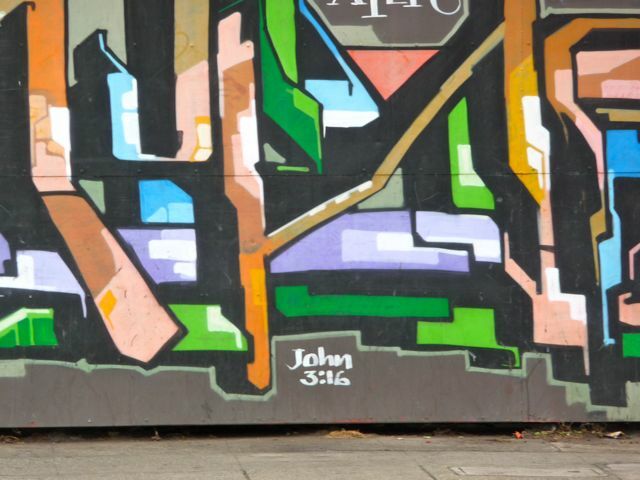 What caught my eye here was down on the bottom of the mural out front . . .
Perhaps the best known Scripture verse in the New Testament: "For God so loved the world, that He gave His one and only Son, that whoever believes in Him should not perish but have everlasting life." This passage is often cited as a summary of what Christianity is all about. The Christian bookstore across the street, the Scriptural reference in front of this business, the active Korean and Spanish congregations in the historic churches along Wilshire . . . it's a reminder of the often overlooked spiritual dimension of Los Angeles - and life beyond the often insular "westside" where we lived. 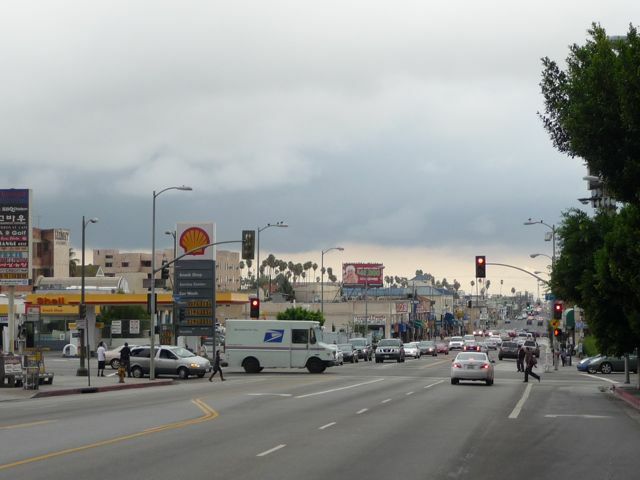 Now that we're living out of the area, I miss this aspect of Los Angeles. 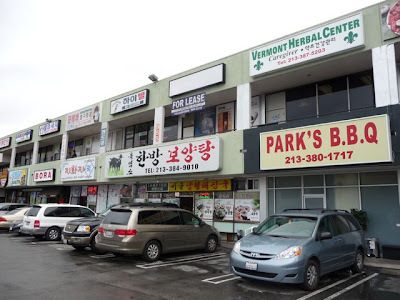 Continuing down Vermont: more mini-malls, more Korean businesses. 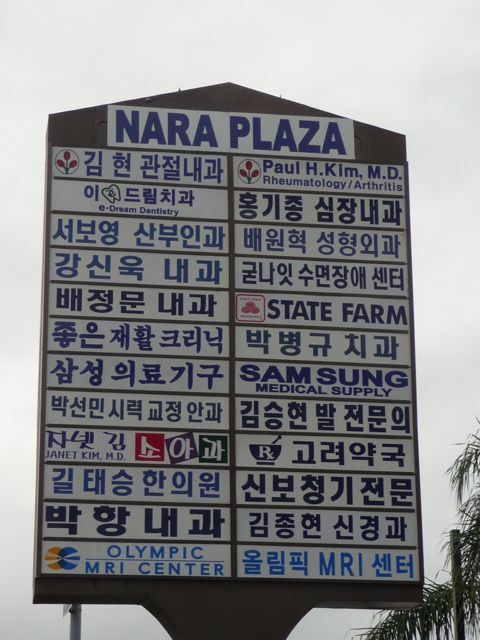 Na Sung Plaza. 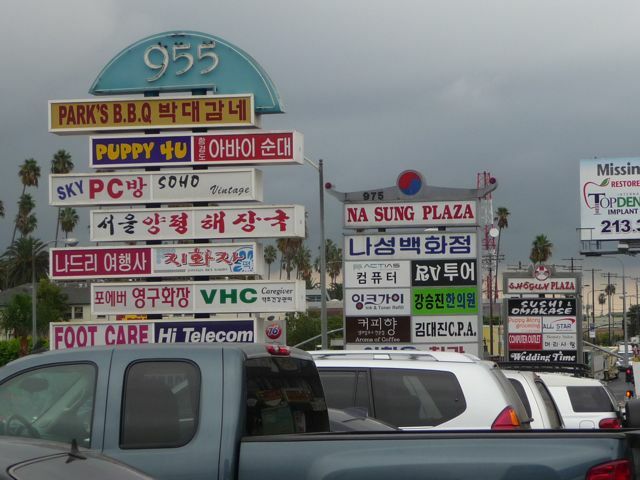 Say what you will about the signage, you'll never find this many independently owned businesses in the suburbs. No national chains anywhere. 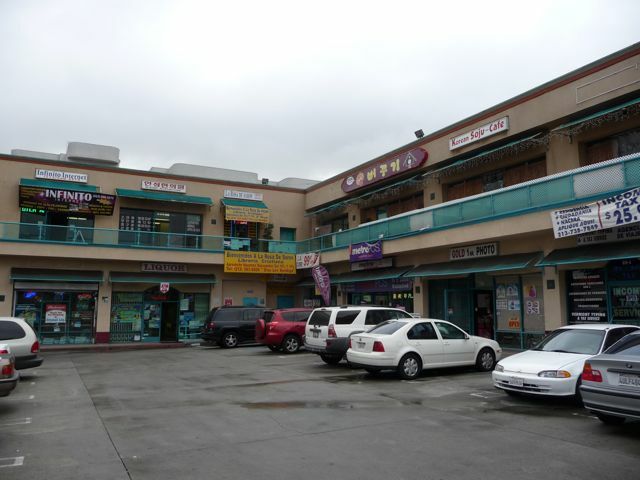 Yet another mini-mall, this one at the corner of Vermont and Olympic. 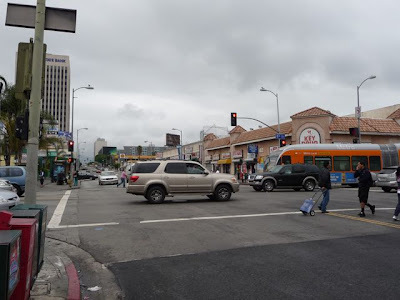 I turned right at Olympic and headed west back to my car. Another mini-mall: the number of independently owned businesses is astonishing. 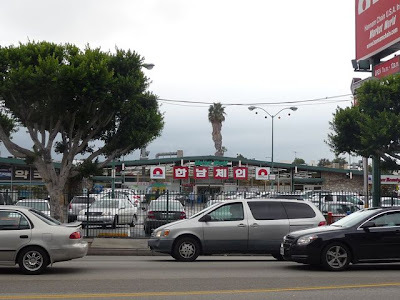 Korean Super Market. 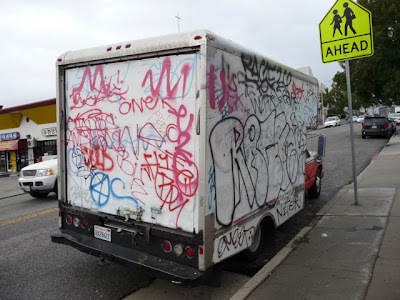 My guess is that this was owned by a chain (Albertsons? Vons? Ralphs?) but is now yet another Korean-owned business. I would have stopped in, but I was running out of time. 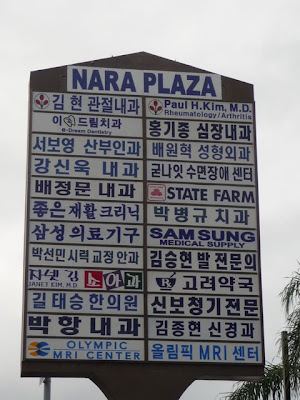 Nara Plaza: more signage. Wow. Graffiti-mobile: kind of depressing. Actually, this was the ONLY graffiti I saw in Koreatown - I'm assuming this truck is from another part of town. 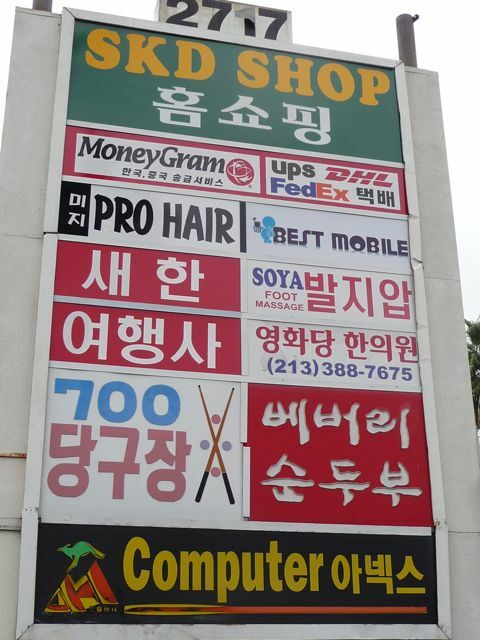 In contrast, I saw Korean merchants working and painting their businesses, sweeping the sidewalks in front of their stores. Also, unlike places on the "westside" like Westwood Village, I didn't see many (really, any) vacant storefronts. I'm not familiar enough with this area to know what it looked like 25-30 years ago, but their certainly seems to be both an economic vibrancy and civic pride in the community. Back side of the Koreatown Gallery, where I parked. A last look at the Koretown Gallery. 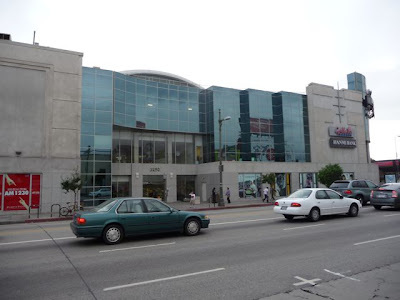 Here's a link to Part I - and a lot more information on this mall. It has a great foodcourt upstairs. 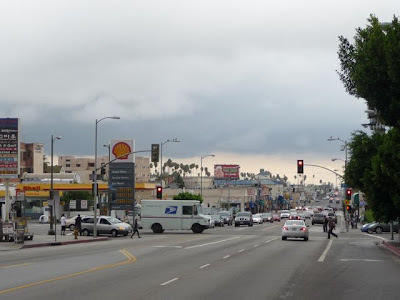 Olympic Blvd looking east. The office towers of downtown Los Angeles are less than three miles away.